Shirley Ruth "Mimi" Fairley Blake passed away on Sunday, November 11, 2018, at the age of 82. She was born on August 18, 1936, to parents, Eugene Douglas Fairley, Sr. and Dorothy Davis Fairley. After growing up in Wiggins, MS, Shirley graduated from Starkville High School (Starkville, MS) in 1954. She attended Mississippi State University (MSU) in 1954 and was selected as a Reveille Beauty Queen, Collegiate Yearbook Staff and a member of the MSU Cheerleading Squad. PL and Shirley were married on July 18, 1959, at the First Baptist Church in Greenwood, MS. They spent time in Canada and Colorado before settling back down in Greenwood in 1963. Shirley started her professional career as a District Communicator with Southern Bell managing seven counties in the Mississippi Delta area. In 1967 PL and Shirley adopted their son, Mark, which started the beginning of their growing family. Tiffany was adopted in 1970, and Traci was born in 1973. PL and Shirley moved to Birmingham, AL in 2000 and have enjoyed actively spending time with their children and grandchildren. Shirley was known for her open-arms and an open-home for friends and those in need. She had countless hours of community work with the LaBonte Women’s Organization, Pillow Academy PTA, local churches and charitable organizations. She also served a role as an APSL Teacher for children with learning disabilities at Pillow Academy. 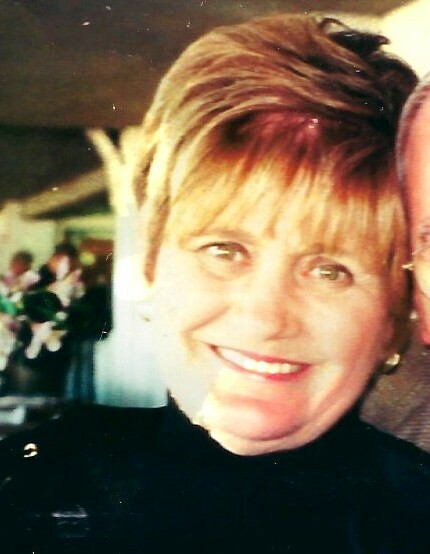 Shirley had a passion for football, cards, crosswords and puzzles – especially enthusiastic shopping with her daughters. Since 1997 PL and Shirley have passionately pursued their love for thoroughbred horse racing and breeding, and founded Pop-A-Top Stables galvanizing their place in the sport. She is preceded in death by her parents, Eugene Douglas Fairley, Sr. and Dorothy Davis Fairley; a brother, Douglas Fairley, Jr.; and a sister, Dorothy Fairley Turner. Shirley is survived by her husband, Presley L. “PL” Blake; a son, Mark F. Blake (Holcomb, MS); daughters, Tiffany B. Scordino and son-in-law, Brandon C. Scordino (Birmingham, AL) and Traci B. Arians (Los Angeles, CA); and grandchildren, Madison N. Scordino (New York, NY), Presley B. Arians (Dallas, TX), Blake C. Scordino (Los Angeles, CA), and Philip C. Scordino (Birmingham, AL). The family will receive friends on Thursday, November 15, 2018, from 10-11 AM at Currie-Jefferson Funeral Home in Hoover. The service will follow in the chapel at 11 AM with Dr. Mike Shaw officiating. Entombment will be at Jefferson Memorial Gardens, South. Pallbearers are: Mark Blake, Griffin Maloney, Blake Scordino, Brandon Scordino, Cole Scordino, and Chris Schumann. Honorary Pallbearers are: Dr. Richard Rosenthal, Dr. Stuart Cohen, Emmitte Haddox, Greg King, Kirk Wood, Amb. Tom Anderson, and Kipp Brown. In lieu of flowers, the family requests donations be made to the American Diabetes Association or the American Heart Association in memory of Shirley Ruth Fairley Blake.